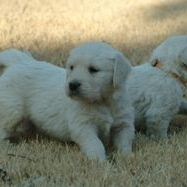 We have several Elsie/Abraham daughters who will be producing beautiful puppies for us. 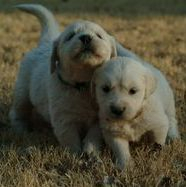 Please ask us about their litters. 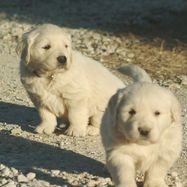 Parents are from top European champions. 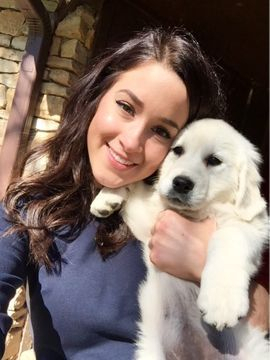 Elsie was imported from a top kennel in Serbia. 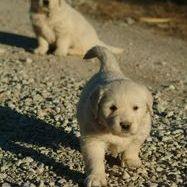 She is a beautiful dog and a great mom. 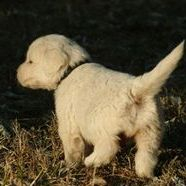 Abraham is my "dream dog"--gorgeous and just awesome! 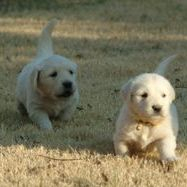 Abraham and Elsie have all health clearances. 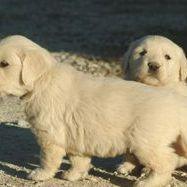 We like the big blocky heads and calm disposition of the English Golden. 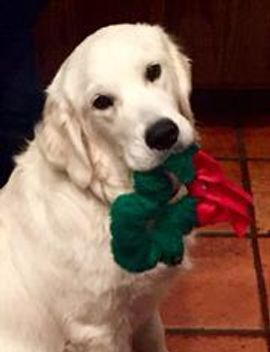 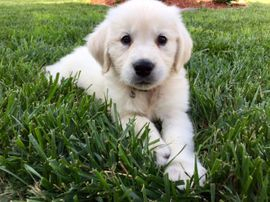 Also, there is a consensus that English Golden tends to be less prone to develop cancer and, on average, lives a couple years longer than American Goldens. 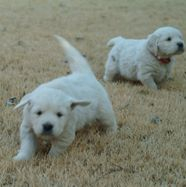 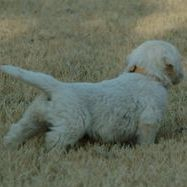 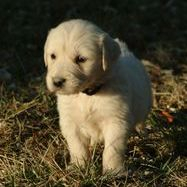 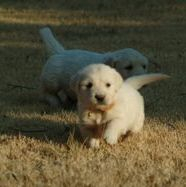 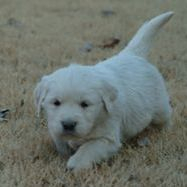 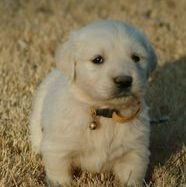 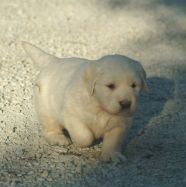 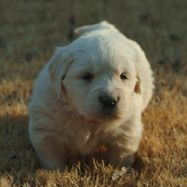 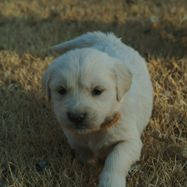 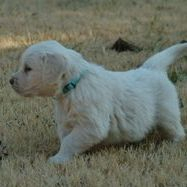 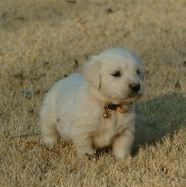 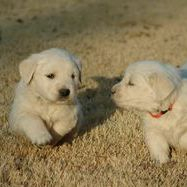 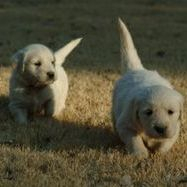 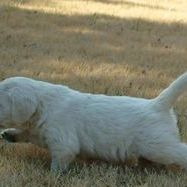 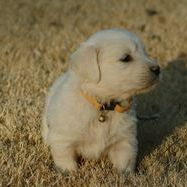 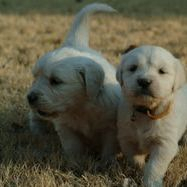 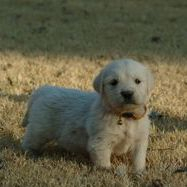 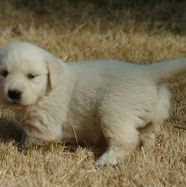 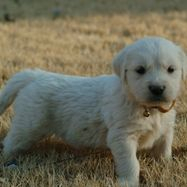 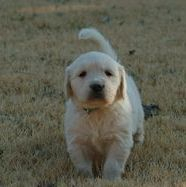 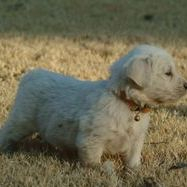 Puppies from a past litter---Enjoy!